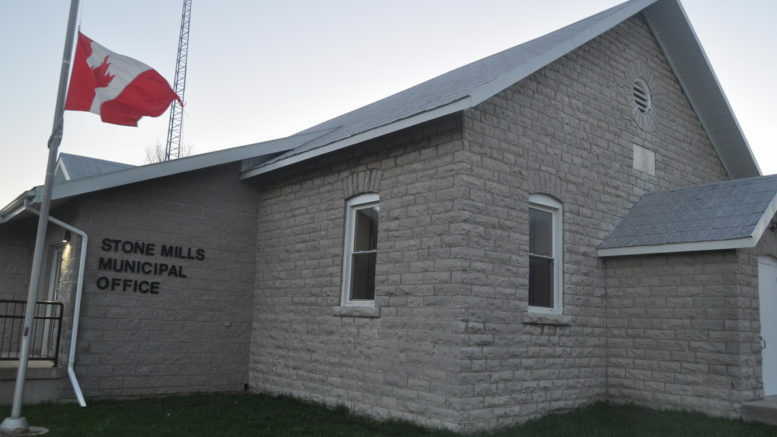 Stone Mills Township moved one step closer to having a formal special events bylaw Monday, but councillors decided it won’t move forward until the public has had a chance to weigh in. Chief administrative officer Bryan Brooks tabled draft guidelines for event organizers to follow in planning events involving more than 250 people on public or private property. The guidelines, a version of township policy to be enacted by a future bylaw, give council the opportunity to consider criteria such as the nature of an event, perceived community benefit, times and locations, safety, compliance with applicable laws, and impacts on neighbouring residents. It also included references to approval agencies and departments organizers may have to consult, like the township’s public works and bylaw departments, insurance providers, Kingston, Frontenac, Lennox and Addington Public Health, the OPP, first responders, and Lennox and Addington County. Brooks said while the requirements in the guideline always existed, some organizers weren’t aware of what they had to do to hold their events so the municipality endeavoured to streamline those conditions and place them into one framework that guides them through the process. Councillor Kevin Richmond wondered if council would have any leeway to alter the process after adopting a formal bylaw. Brooks replied that council would ultimately have the ability to offer variances or exemptions to anything it ultimately approves. Two residents and an events organizer appeared before council in Centreville to ask councillors to seek further public input. Krysta-Lee Woodcock ran for council last fall and said there was a common refrain from the public to expand the business tax base. She reasoned events can be a major support and draw for business — using the example of Newburgh’s Art Among the Ruins as probably the “best day of the year” for local business — and while she didn’t see anything particularly offensive, she felt input was needed. Woodcock suggested residents be given a week or two to offer input. Yvonne Gibson, the owner of Freedom Fields Naturist Ranch, a Tamworth-area business that was at the centre of a well-publicized approvals process involving the Hyperborea arts festival last year, also came looking for further consultation. She said she would have liked the township to survey neighbouring municipalities for comparable. She also wanted to see comment from the public. Gibson said she met with some other residents who would like to see council take its time and not push the plan forward without their involvement. Dom Scott, one of the organizers of Hyperborea was at the meeting to talk about mitigating sound concerns for his festival. He didn’t feel the guidelines were too onerous. In light of the deputations, councillor Wendy Lalande asked for that consultation. Brooks agreed and recommended council give the public until the Friday before its next regular meeting to provide comment. He reasoned any input would likely be additions to consider as most information in the guideline is not within the township’s jurisdiction. Council voted to adopt the guidelines, provide a period for consultation and consider the comments with a draft bylaw for review.